The Quad Cities Community Foundation has awarded more than $100,000 to nine Quad Cities organizations to strengthen their ability to do their work. Ideas. The good ones are like snowballs. It just takes one, a little push of inspiration and off it goes, growing greater with every roll. The Quad Cities Community Foundation has awarded more than $100,000 to eight local organizations to help them build their capacity. The Quad Cities Community Foundation has awarded more than $120,000 to 11 local organizations to help them build their capacity. 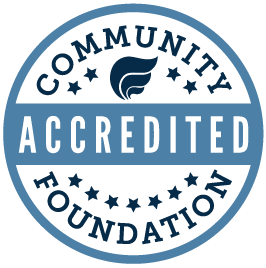 Community Foundation's Nonprofit Capacity Building Grants provide funding to local organizations for staff training, board development, strategic planning, technology, and critical equipment needs to help them transform their ability to carry out their mission. John Howes is certain that when the young man he has mentored through the Big Brothers Big Sisters program walks across the stage to receive his high school diploma one year from now, no one will be more proud than he will be. "That's why we do it," said Howes, who has participated on and off with the program since the mid-1990s. The Quad Cities Community Foundation has launched a new grant program inspired by the Quad Cities Q2030 Regional Action Plan. The Quad Cities Community Foundation is pleased to announce that $100,000 is currently available to grant to area nonprofits through their Core Mission Grant program.